Those who’ve spoken to me about my beauty stash know that I have a love affair with CC Creams / Colour Correcting Creams. Yes, I said it – I don’t particularly like BB creams, no – I don’t see any magical glowy effects after using them, and they sometimes leave a cakey effect on my skin/dry it out/produce an oily t-zone. But with my not-so-recent discovery of CC Creams, I’ve fallen down the rabbit hole. After starting off the journey of light-coverage base-makeup, i.e. CC creams, my complexion has been more radiant than ever. There’s this sheer glow I seem to find in the moisturizing properties of CC Creams; I don’t really need the medium-coverage properties of typical BB Creams, so CC Creams are perfect for me because they’re typically sheer coverage, and are marketed to help with sallowness/redness etc. Quick warning: this is not for someone who’s looking to cover multiple blemishes! 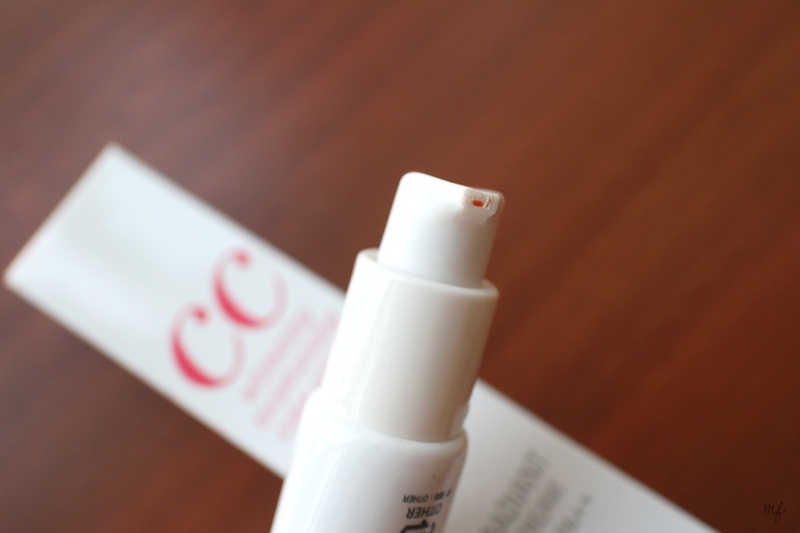 I’ll be posting a series of long-overdue reviews of the various CC creams in my stash – while I have made previous judgements on some of them, these will be my honest, latest, long-term-use reviews of these products. Song Ji Hyo is the brand ambassador of Banila Co., and this product has won awards from Get It Beauty, Allure Korea, Sure, and Cosmo Korea. Sounds pretty convincing to me! 4. 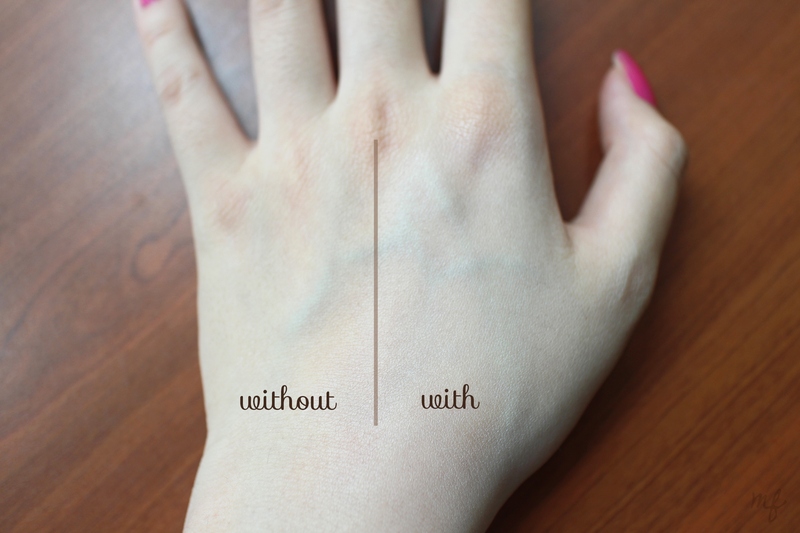 Left side has no CC cream, right side has blended CC cream. Do note that my hand is slightly tanner than my face! First impression: ★★★★★ +++ HG LEVEL!!!!! It’s no wonder that the Banila Co CC Cream came out as one of the top contenders on Get It Beauty – it certainly is moisturizing, provides basic sun protection, and brightens your face. Definitely dedicating a review post to this (and other CC creams) soon! What I can say now is that it’s really got this amazing, smooth and blendable texture that just melts into your face, and I thought it was love at first sight for me. At that point in time, I’d say that my skin was a notch lighter than it is right now – maybe that was why this CC cream seemed to merely brighten my appearance due to its lightness and pink undertones, cancelling out the olive-ness of my skin. I remember yelling at my mum to ‘come look!! I don’t even need undereye concealer with this! !’, but sadly, those days ended mid 2015. 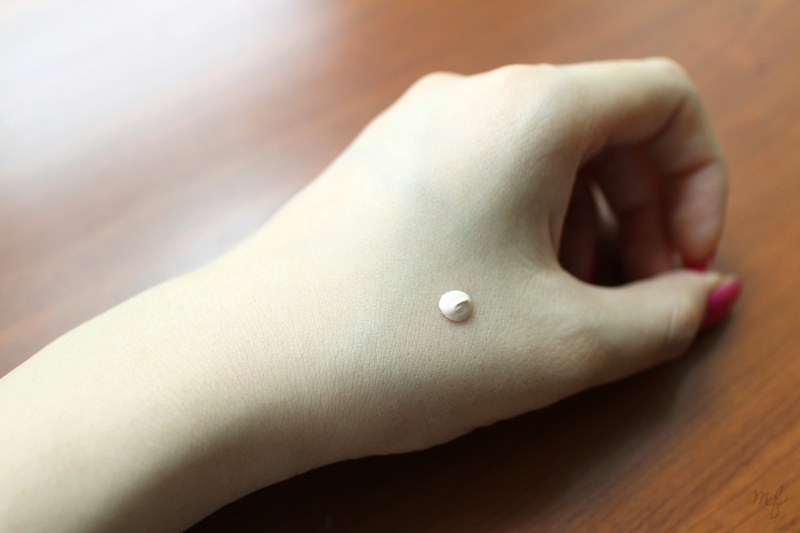 As I got slightly tanner throughout 2015, I started noticing that I looked as pale as a sheet under fluorescent lights whenever I was wearing this CC cream – it simply didn’t suit me anymore, and I started having to mix in darker concealer/base makeup product to make this CC cream work for me. As you can see in the fourth picture above, while the right side of my hand looks brighter, if I was any tanner at all, the shade of the cream just washes me out. Today, while I still agree that it’s great for brightening my skin tone and as a quick makeup base, I just don’t find myself reaching for it as often. It’s become more of a makeup blender for me. – Shade/Tone: Pink undertones, suitable only for those < NC20. Would I recommend this? Yes! Taking a glance at the cushion case, it looked basic, nothing special nor different from any other cushion – clean-cut and sturdy on the outside. Popping open the case, I immediately noticed that the quality of Banila Co.’s rubycell puff is miles below the golden AmorePacific standard – it’s just like any other sponge to be honest. The worst part is, the rubycell puff literally disintegrated after a few months – yeah, no. That’s just gross. You know how most cushions have a comfortable ‘click’ lock on their inner-cushion lids? This one had a slipshod click notch on the right-hand side of the lid, which meant that it was SO inconvenient for me to pop open each time – with others, I could easily tip it open with one hand. The liquid in the sponge… I don’t even know what it’s supposed to be. It’s so, freaking, watery, it literally drips out of the case if you store it vertically – which completely negates the point of the inner lid anyway!? 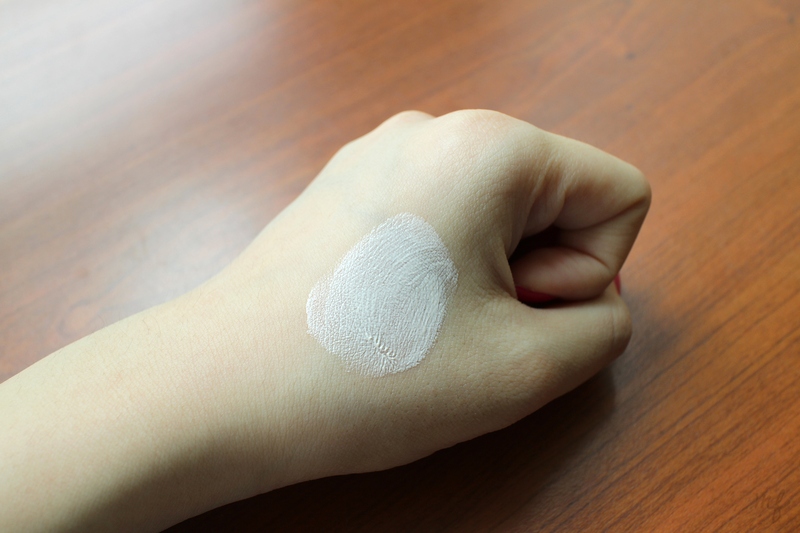 I admit that the shade BE10 is definitely too light for me, but even the way it sits on my face made me feel uncomfortable – it was so sheer, it might as well have not have been on my face – no color correcting or complexion-covering properties in this one. Can you see how the right side of my hand is orangey? The effect was more pronounced in reality – it’s this peachy shade that I simply don’t think suits Asian skin tones. Look at everything leaking out. Just a big no from me, sorry Banila Co. While your brand makes some pretty great stuff, you’ve successfully convinced me not to buy any of your cushion products again. Would I recommend this? No! I’ll be reviewing more CC creams, specifically some from AmorePacific soon. Update again… sometime! - Where Are My Chopsticks? No content from this site, be it text or images, may be reproduced on external sites and platforms without my explicit permission.